02/28/2019 A visit to Dr Marc is therapeutic on many levels. I have gone in with pain and stiffness that makes walking difficult, and after the session can move as freely as a rag doll. Through both structural and energy work, tensions I’ve been holding are released and with them, the aches and pains. Dr Marc is a caring and compassionate practitioner and gives valuable advice for preventing future pain through exercise and awareness of posture and movement. 02/18/2019 WITH MARC I WAS ABLE TO RELAX DEEPLY FOR THE VERY FIRST TIME. WHEN THIS HAPPENS ONE REALIZES WHAT A CRUCIAL ROLE RELAXATION PLAYS IN THE HEALING PROCESS. 02/13/2019 THE SECOND TIME I WENT TO SEE MARC I FORGOT ABOUT MY KNEE PAIN WHICH BROUGHT ME THERE IN THE FIRST PLACE. INSTEAD I WITNESS MY BODY ENTER A RELAXATION NEVER EXPERIENCE BEFORE, I LITERALLY MELTED. MY PAIN MINGLED AND DISAPPEARED INTO THIS FLOW OF CALM AND THE TRUST OF FEELING TAKING CARE OF. WATCHING HOW MY BODY BEHAVED MADE ME AWARE OF THE POSSIBILITY OF REACHING THIS DEEPTH OF RELAXATION EVEN ON MY OWN. THE DAY AFTER I WAS BACK ON RUNNING ON THE SPOT WHICH I COILDNT DO FOR MONTHS. 02/12/2019 After a completely debilitating injury I had no choice but to finally find a good chiropractor and Dr. Marc was highly recommended by good friends as a 'good fit' for me. I could barely walk when I arrived at his office the first time. He did wonders for me that day. I can be a tough patient. Dr. Marc has a great way of LISTENING to a patient's needs and focusing in on that while also teaching about self care. He is fixing issues I have had for over 30 years and nobody else cared to even look at. If he can put up with me and also find and fix problems I had forgotten about or gotten used to having, what else could a person want? Even on a personal level, my visits are always a pleasure, a very safe and comfortable place to be cared for. Rarely do we find a good practitioner that works for us. I could not be happier with the care I receive. 02/12/2019 I can be a tough patient. Dr. Marc has a great way of LISTENING to a patient's needs and focusing in on that while also teaching about self care. He is fixing issues I have had for over 30 years and nobody else cared to even look at. If he can put up with me and also find and fix problems I had forgotten about or gotten used to having, what else could a person want? Even on a personal level, my visits are always a pleasure, a very safe and comfortable place to be cared for. 02/08/2019 Marc is a kind, caring human being and an excellent chiropractor. I had never head of NSA (Network Spinal Analysis) before coming to Marc but it has transformed by life. It is so nourishing to come in for my weekly appointment. I came for pain relief and now I come for the overall sense of ease and well being I experience after each visit. 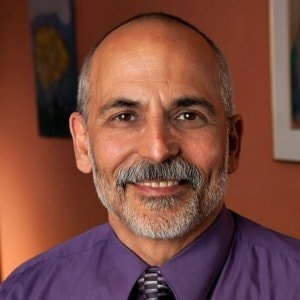 If you are in need of healing, definitely check out Marc! 02/08/2019 I have always been open to non-traditional healing modalities so when I read NSA (Network Spinal Analysis) I was excited to experience it firsthand. I didn't realize the kind of healing journey I would begin by coming to Marc. It has been challenging (as is any type of growth work) but also so rewarding. The care I receive is soothing to the soul. After each visit, I feel more relaxed and peaceful and capable of handling the stress of daily life. Thank you Marc! 01/13/2019 I've tried many different chiropractors over the years. Some were traditional, others were network, and still another was an SRI practitioner. It wasn't until I came to Marc that I finally found long lasting relief from chronic, decades long neck pain. All of the others provided very short term 1-2 day relief, and then the pattern would come right back. I am deeply grateful for being pain free. After every session I feel like my body is in full balance, which lasts for weeks. Hoorah! 01/04/2019 Marc is an excellent chiropractor. I highly recommend him. Marc has adjusted my spine for many years and more recently helped me to reverse the numbness in the fingers of my right hand. He is a very patient, kind, intuitive and highly skilled healer and chiropractor. 12/28/2018 Dr. Marc is the most intuitive and spot on chiropractor i have ever been to!! He is compassionate and has the ability to address my issues immediately and the results of getting adjusted are amazing for days! When i commit totally and stay on track with him... my life is very different in a very positive way! 12/18/2018 Our whole family has been seeing Dr. Marc for several years. He is amazingly effective with both kids and adults and we highly recommend his work. Our daughters are dancers and he keeps them going strong. Marc gives the best chiropractic care we have ever found! 12/18/2018 Dr Marc Rabinowitz is an excellent practioner. He readily assesses the source of pain and discomfort and finds ways to alleviate it. Through both structural and energy work, the patient’s well being is restored. 12/18/2018 Dr Marc Rabinowitz has been my chiropractor for twenty two years. He quickly assesses the location and cause of any misalignment or pain, and finds a way to alleviate it. Through a combination of structural manipulation and energy work, positive results are achieved as the pain dissipates. My experience has always been excellent. 12/17/2018 Marc is a kinesthetic and energetic genius! He gives healing, nurturing, loving touch that eases pain, puts things back into alignment and relives all manner of bodily distress. Go and see him! You will truly be in the best of hands! 12/17/2018 Dr. Marc's warm healing gentle care is just the best! He teaches your body how to heal itself and feel good again. If I hear of anyone suffering, I tell them about him. Its not the sort of Chiropractic care that cracks and forces an adjustment, but allows the body to gently find it's own healing power. 12/16/2018 If you're committed to learning about yourself and your structural and energetic body's functionality, Dr Marc is an excellent docent! 12/15/2018 Very skilled chiropractor. I felt like my nervous system had been reset by the end of the session. 12/15/2018 The blending of network, conventional chiropractic and nerve work is most effective for me!